U.S. Army First Sgt. 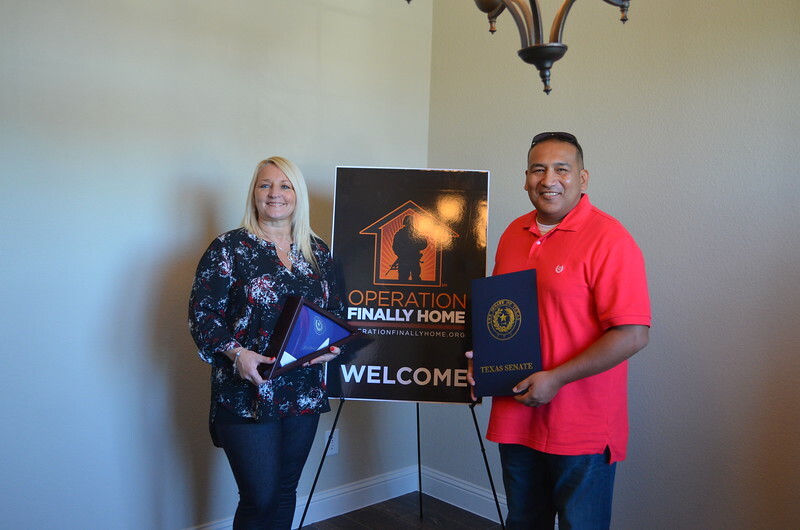 Guillermo Rivas and his family were joined by representatives from Operation FINALLY HOME, Altura Homes, Dallas Builders Association, Family of 3 Foundation and the local Greenville community Tuesday, Nov. 15, to celebrate the dedication of their new custom-built, mortgage-free home. Donnajayne and Guillermo Rivas with the flag presented to them by Senator Bob Hall.